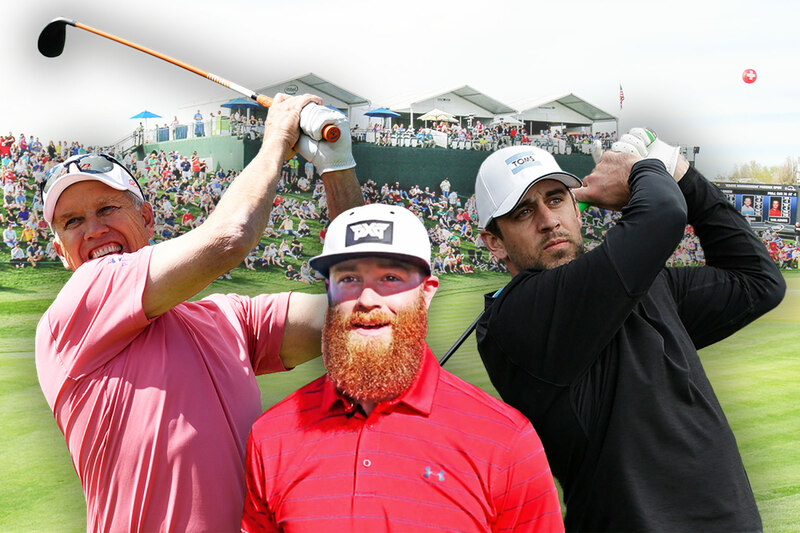 SCOTTSDALE, Ariz. – Two-time NFL MVP Aaron Rodgers, NFL Hall-of-Fame quarterback John Elway and Arizona Diamondbacks pitcher Archie Bradley are among the latest list of star-studded celebrities from the sports and entertainment world who will be playing in the Annexus Pro-Am at the Waste Management Phoenix Open on Wednesday, Jan. 31, at TPC Scottsdale’s Stadium Course. Tee times for the Annexus Pro-Am will range from 8:30 a.m. to 10:30 a.m. Exact tee times for participants will be announced on Tuesday, Jan. 30 on wmphoenixopen.com, along with a complete list of celebrities and PGA TOUR players in the field. Rodgers has put together one of the finest NFL careers in recent decades. He became the Packers starting quarterback in 2008, the same year he led the team to a Super Bowl XLV championship and was named the Super Bowl MVP. Rodgers was named the AP Athlete of the Year in 2011, and twice honored as the NFL MVP (2011, 2014). Additionally, Rodgers has led the NFL three times in touchdown-to-interception ratio (2011, 2012, 2014); twice in passer rating (2011, 2012), touchdown passing percentage (2011, 2012), and lowest passing interception percentage (2009, 2014); and once in touchdown passes (2016) and yards per attempt (2011). Elway, who is currently the Executive Vice President of Football Operations and GM of the Denver Broncos, played all 15 seasons of his prolific NFL career for the same organization. During that time, Elway won two Super Bowls (1997, 1998), was named to nine Pro-Bowls (1986, 1987, 1989, 1991, 1993, 1994, 1996-1998), was honored as the NFL MVP in 1987, and the NFL Man of the Year in 1992. Elway also was named as part of the 1990’s All-Decade Team and his No. 7 jersey was retired by the Denver Broncos. Elway was inducted into the NFL Hall of Fame in 2004. Bradley is coming off a breakout season in 2017 in which he surrendered only 14 earned runs in 73 innings pitched for a 1.73 ERA clip – good enough for fifth-best among National League relievers. Bradley also was responsible for 25 holds during the 2017 season, which was the second most among National League relievers. Other celebrities already committed to play include Michael Phelps, Larry Fitzgerald, Bruce Arians, Patrick Peterson, Emmitt Smith, Bode Miller and Tim Brown. The Thunderbirds were founded in 1937 with the mission of promoting the Valley of the Sun through sports. The Thunderbirds consist of 55 “active” members and more than 250 “life” members. In 2017 The Thunderbirds raised a record $10.1 million for charity from proceeds from last year’s tournament and have eclipsed $122 million in charitable giving since its inception in 1932. For more information on The Thunderbirds,, visit www.thunderbirdscharities.org.